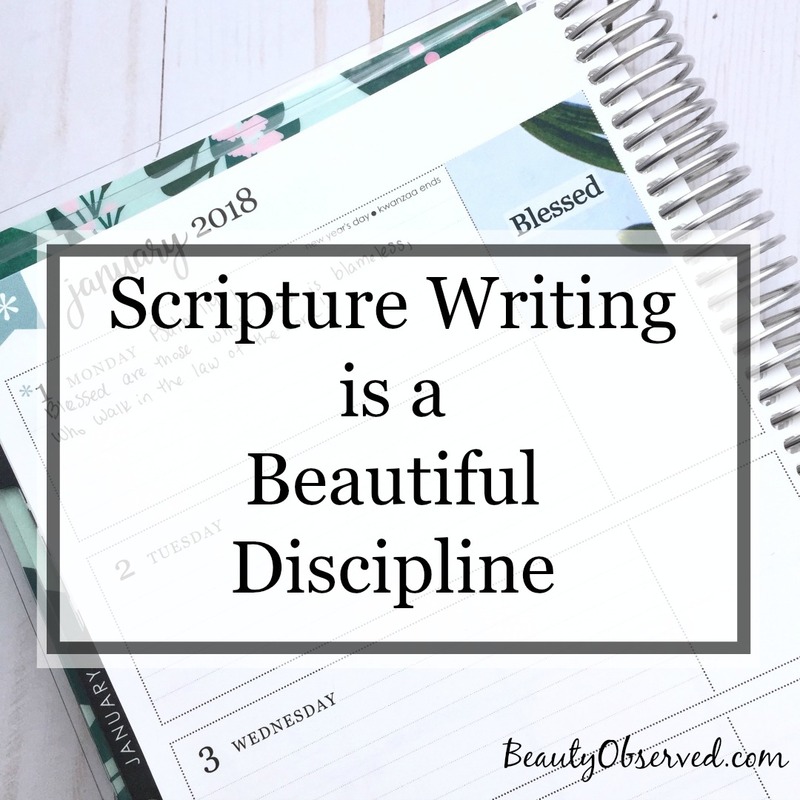 Scripture writing is a beautiful discipline to add to your quiet time or scripture study. 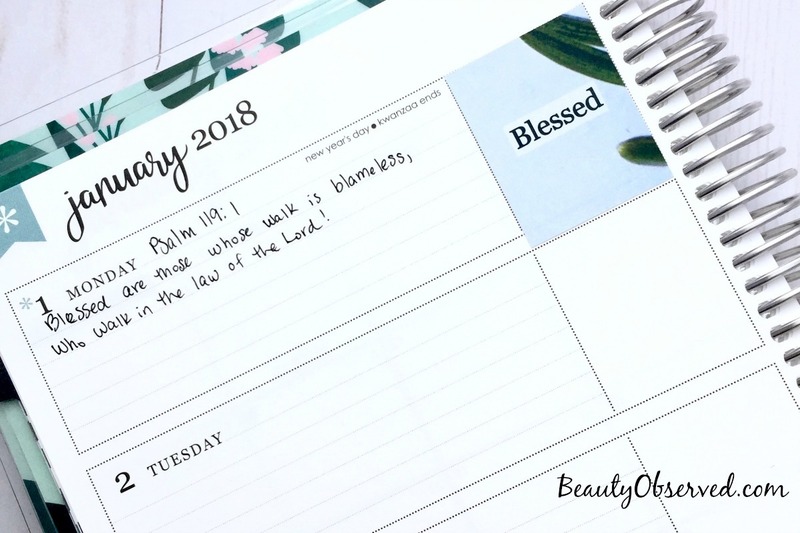 As I’m reading through or studying a portion of scripture, I am in the habit of writing specific verses that speak to me or that I want to remember in my journal, planner, or on a note card. I have a friend that writes these verses on index cards and keeps them organized by subject in a file box so that they are at her fingertips. I have even kept a book that was only for scripture writing. 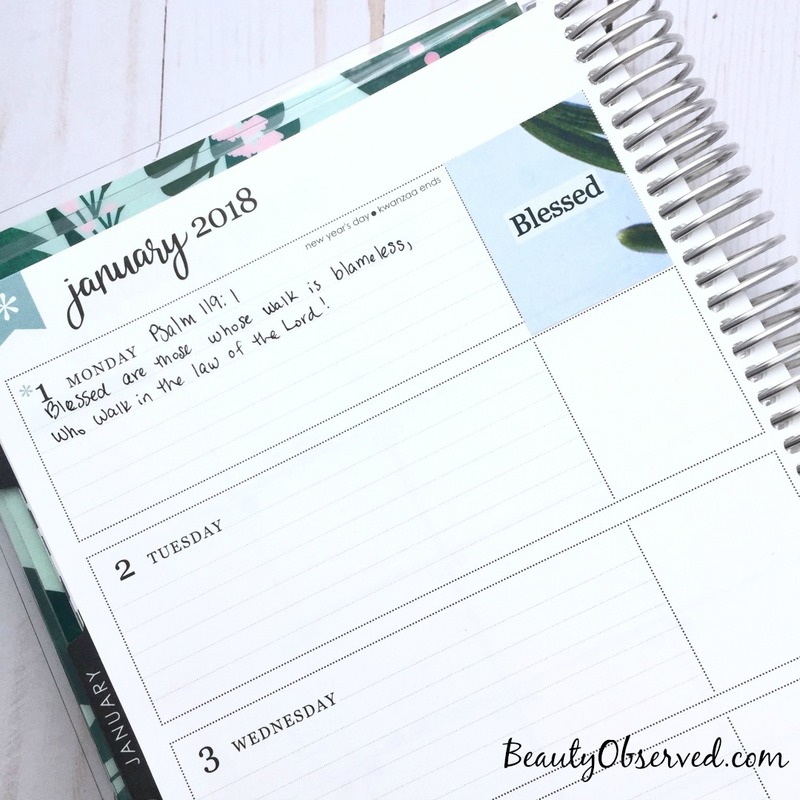 One of the things I want to do this year at Beauty Observed is to do almost daily scripture writing with you. Each Monday, I will post five memes which will correspond with the the five verses that we will be using for our scripture writing from Monday-Friday. I will be posting photos of my own scripture writing on the Beauty Observed instagram account. Use the hashtag #beautyobservedscripturewriting so that I can see your work! On Friday of each week, I will post all of my verses for the week. Saturday and Sunday can be used to catch up. 1) Sign-up for the free PDF. There is also a free PDF that you can download by joining the Beauty Observed newsletter. You will automatically be sent the new list each month. 2) Choose something to write in. I am choosing to do my scripture writing in an erin condren horizontal life planner. (affiliate link*) In the past, I’ve used spiral notebooks, composition notebooks, and hard bound journals to keep my scripture writing. *affiliate link means that if you buy something from the link, I may make a small amount of money at no cost to you. If this is your first order from erin condren, you can earn $10 off your first order. 3) Don’t worry about your handwriting! Please, please, please do not worry about your handwriting! Mine is not very attractive, especially when I am writing fast. This is not about what your handwriting looks like but about getting the Word down into our heart and about worshiping the Lord through copying the verse. I mediate on Him and His word with each stroke of my pen on the paper. 4) Jump in at any time! Don’t worry if you can’t start right away. We’ll be doing this all year. It’s never too late to start something new! I hope to you’ll join us. I look forward to seeing your posts on instagram! Remember, #beautyobservedscripturewriting.